I hope you've all had a lovely Christmas! The 'real' Christmas day was spent with my family and Josh in Birmingham, but now we've travelled up to Lincolnshire to see Josh's family for a second Christmas. I get two Christmas days which means two Christmas dinners, yaaay! 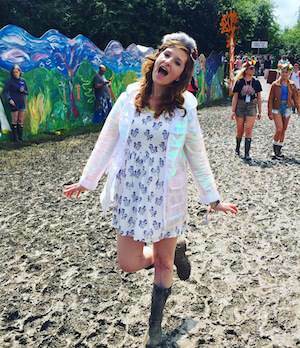 This is an outfit from just before Christmas - I wore this out to Nandos and cinema. 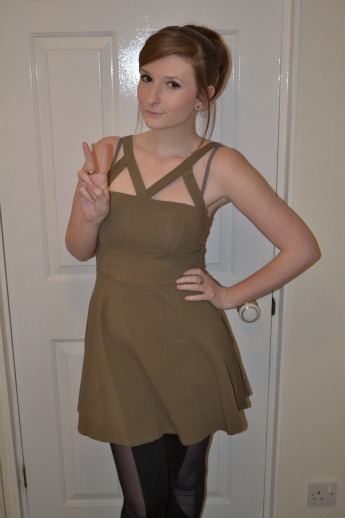 This dress was only £20 from Topshop a little while ago, I really want another one in a different colour but I can't find it online any more. I also need to sort out an appropriate bra for this dress too, the straps just look weird with the crossed/harness style top. Apologies for the awful colour of the photos too! The dress is gorgeous!! Unfortunately for me, khaki does not suit my skin tone at all. 20 pounds is a bargain! 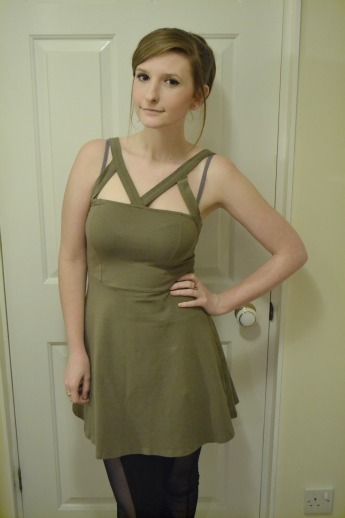 Great dress, I personally love khaki, it's one of my favourite colours - the price is great too!